A free digital signage widget site has been launched by ONELAN Digital Signage expanding their portfolio of free content. ability to mix analogue clocks with digital. 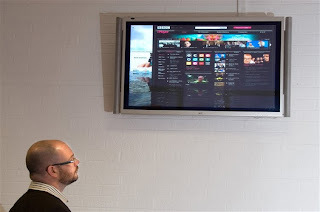 New digital signage widgets are being developed continuously, driven by customer demand. Visit www.signagewidgets.com to learn more. Digital Signage specialist ONELAN has further expanded their range of Net-Top-Boxes (NTBs) to include the NTB510. The key advantages of this new NTB are firstly its fanless design, making it quieter and more reliable. There is also a Solid State option for greater operational stability, and an easy VESA mount bracket so that the media player can be mounted behind any screen. In addition the unit is environmentally friendly using less than 12W, making it both cost effective to run, and in conjunction with an RS232 connection, when professional screens can be programmed e.g. to switch off at night, a truly green solution. With unlimited number of Layout Zones the NTB510 is ideally suited to environments which need multiple channels and screens, such as in retail or schools and universities. It can be combined with any other ONELAN NTB from the range to provide a cost effective solution for small to large networks. ONELAN Digital Signage is delighted to announce sales growth of over 19% in 2009, representing a 27% increase in unit sales, and continued profitable growth for the fifth consecutive year. Exports have been largely responsible, with sales turnover up from 18 to 30% as ONELAN continues to extend its global reach. As a College of Technology Swanmore required a suitable medium for communicating valuable information centrally as well as to their network of local feeder schools. They wanted a solution that was modern, efficient, cost effective and manageable both locally within the individual schools and centrally. Network connectivity between Swanmore College and the 9 feeder schools, including ftp access and proxy servers. The ability to control and create layouts for the feeder schools from a central location. Location of screens within each of the 9 schools, which included surveying each school with regards to network and power points. 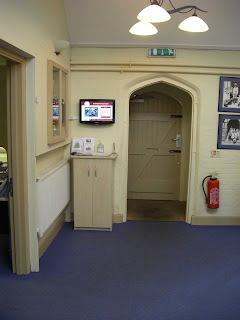 Location of Net-Top-Box (NTB), and location and size of screen in the Reception area. ONELAN was chosen for the ability to setup different zones with different content types, and for stability: ONELAN NTBs are Linux based and therefore more stable than Windows based systems. and the school name and logo. The ONELAN solution has not only met expectations but exceeded them, the flexible display and simple to use software means content can be updated regularly without excessive investment of time. ”We have found ONELAN a flexible and comprehensive system which allows ad-hoc users to quickly and easily update the screen whilst allowing us to make more complex changes where necessary.” Helen Woodland – Community IT Technician. Digital signage specialist ONELAN has joined forces with CTI Labs, a division of IP Integration to assist with complex Contact Centre based Digital Signage opportunities. CTI Labs consists of a team of software developers and consultants, utilising the latest speech recognition and development tools. The company are a Microsoft Gold Certified Partner and specialise in Computer Telephony Integration, Interactive Voice Response, SMS solutions and offer a range of applications and be-spoke solutions, focused on the automation requirements within Contact Centres, for example customising wallboard displays. IPTV and Digital signage specialist ONELAN enjoyed a record show at ISE 2010, generating strong interest from visitors from all over the world. In the Digital Signage Hall, the company stood out as the only DS player with live Streaming and TV on their stand. The new features of ONELAN’s IPTV Streaming included the ‘multi-unicast’ solution and a more exciting and easier enduser interface: the landing page for an unprivileged user has been improved to include Thumbnail images (updated at 4 second intervals) of each channel. Other products being demonstrated included the Digital Signage network Manager (DSM) for monitoring, audit and remote configuration of NTBs in a network, and Data Capture Engine (DCE) for integration to live data in external systems and data stores. Last but not least were the New Century models: NTB510 with its small form factor and fanless solid state option, and the New Millenium models: NTB5500/5/8: with 500G hard drive and more memory to position them as combined Network Publisher & FTP server for networks of up to 50 NTB Subscriber players.